THANK YOU so much for your kindness and generosity in supporting our fundraising campaign, “Building Hope From the Ashes”. Since our campaign ended last month, the numbers are finally in! Thanks to all your amazing hard work we can now announce you’ve helped us to raise an incredible £3851!!! 4) £700 from ‘Spendengemeinschaft Kärnten’ a community of citizens concerned about Indonesia based in Vienna, Austria. THANK YOU! Your donation couldn’t have come at a more important time. 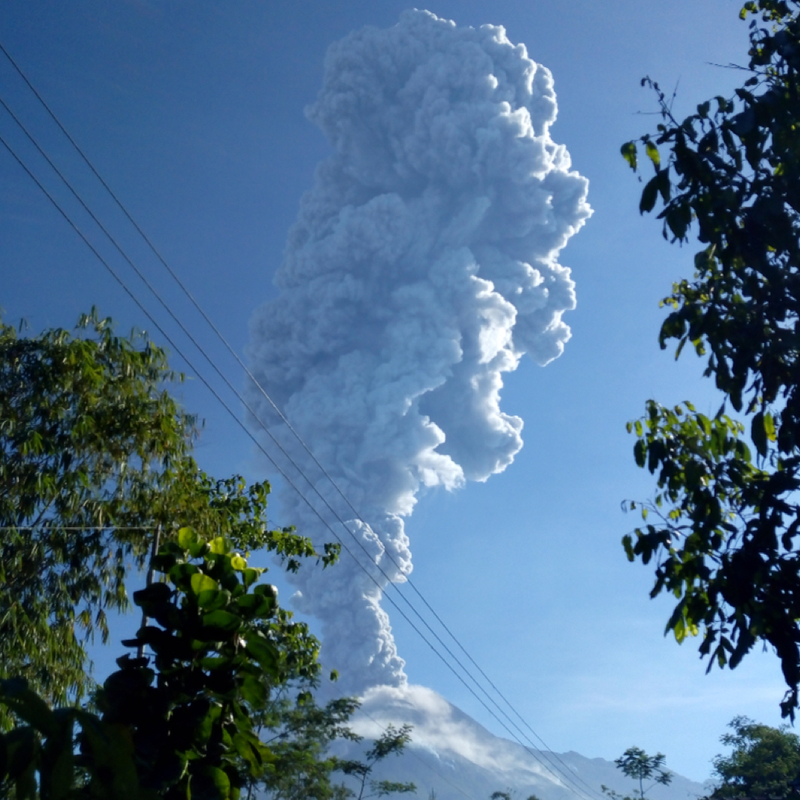 Since our campaign ended there has been a recent unforeseen increase in Merapi’s volcanic activity beginning with a series of phreatic eruptions that began on the 11th May 2018. After eight further minor eruptions, the BPPTKG (Hall for Research and Development of Technology for Geological Disasters) who are responsible for monitoring Merapi’s activity issued an official recommendation to increase Merapi’s status level from NORMAL (level 1) to ADVISORY (level 2) as of the 21st May 2018. As our school is located in one of the highest risk areas which was devastated by the 2010 eruptions, we have decided to delay some of our plans to renovate the school. We want to make absolutely sure that your donation can be used in the most effective and useful way possible, and in the event that Merapi’s activity continues to increase to the point that our community has to evacuate, these funds will have most impact into supporting our community and students during their evacuation. It is too early to tell what Mother Nature might have in store for our community over the next few months, but most importantly you have already helped us to be more prepared for whatever may come. We will be sure to keep you updated on any major developments, but if you would like more information about our current activities as we prepare for a potential eruption and to stay up to date with Merapi’s increase in activity, make sure to follow us on Facebook & Instagram (@sekolahgunungmerapi).